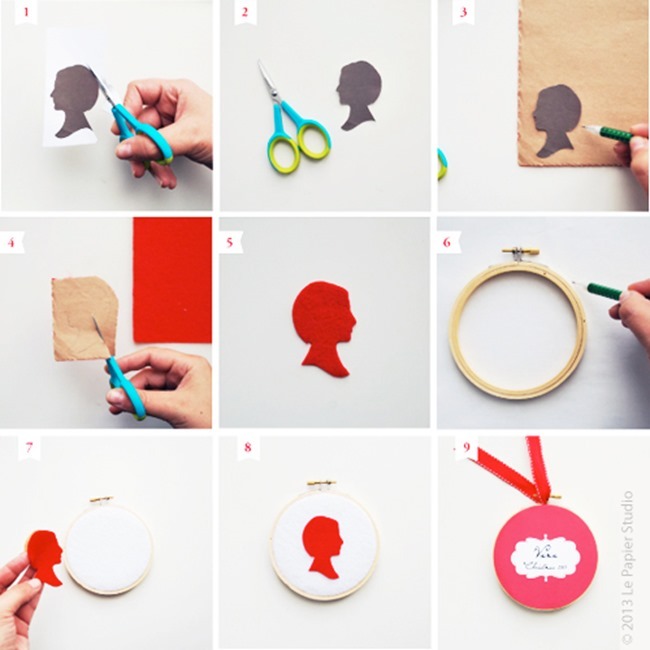 Create fabulous handmade silhouette ornaments with this beautiful tutorial from Vana at Le Papier Studio! What an amazing personalized gift! Don’t miss the giveaway to Le Papier Studio at the end of the post! 1. Download the template and gather all the materials needed for this craft. 2. Start by cutting out the silhouette*. Trace your silhouette on the back of the sticky-back felt and cut. 3. Next, cut a large enough circle to cover the 4.25″ hoop. Use the wooden hoop to guide you (as shown in the picture above). 4. Insert the felt piece you just cut into the loop. 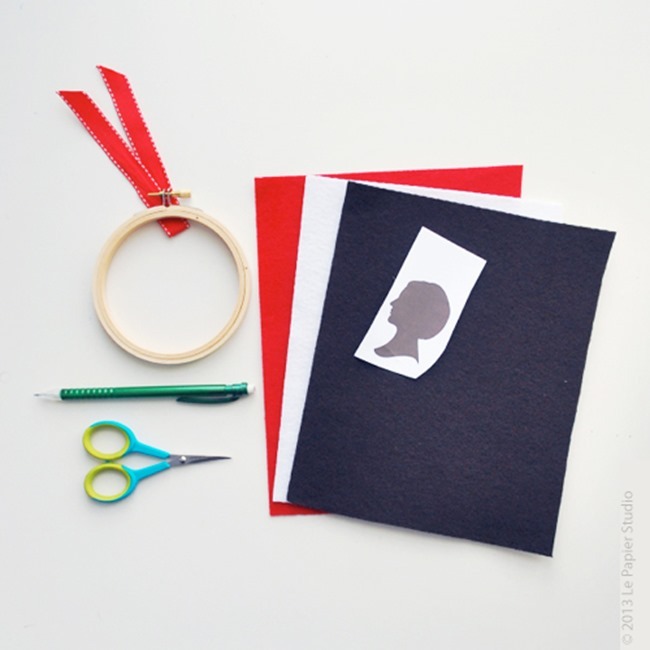 Remove the paper from the sticky-back of the silhouette and place on top. To secure the silhouette even more or for a decorative touch, you can chain stitch around the edges of the silhouette (this is completely optional). 5. 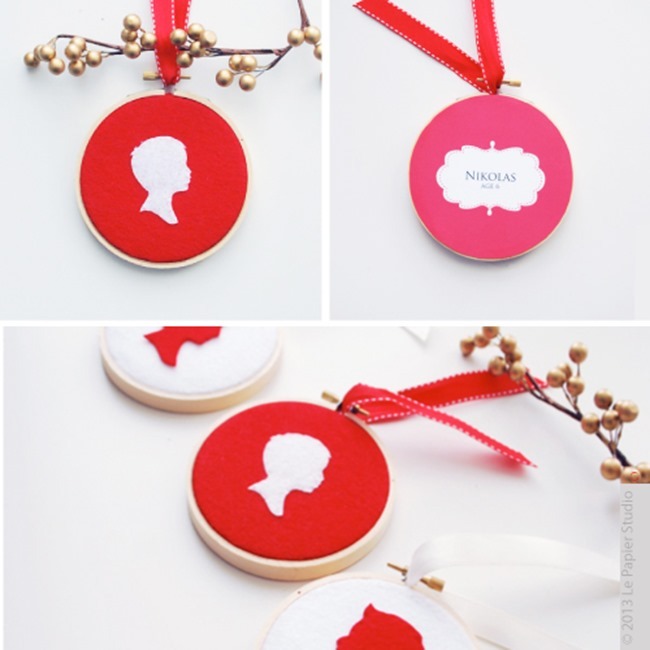 Cut the printable backing template and glue on the back of the ornament. 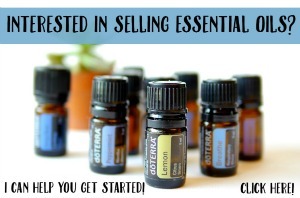 This will create a nice finished look. You can add your personal note here or your child’s name and age. Hang with ribbon! Wasn’t that easy? You can create one for each family member, including your furry friends. – Snap a profile picture of your child/pet against a well-lit wall. They can face right or left. – Take the picture at their eye level. For best results, stand about six feet away from your subject. – If you’re taking a picture of a baby, the best time to do it is when they are asleep. Gently turn the baby’s head to one side, and take the photograph from above. – Once you have the picture printed, cut around the edge/outline of the face (including the neckline). This template is your silhouette! Easy right? You can always find out Vana’s latest creation by following Le Papier Studio on Twitter or Facebook. 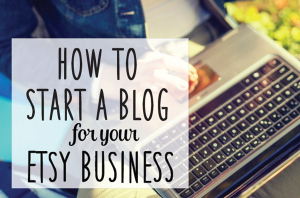 There’s always something pretty on her website and Le Papier Blog! 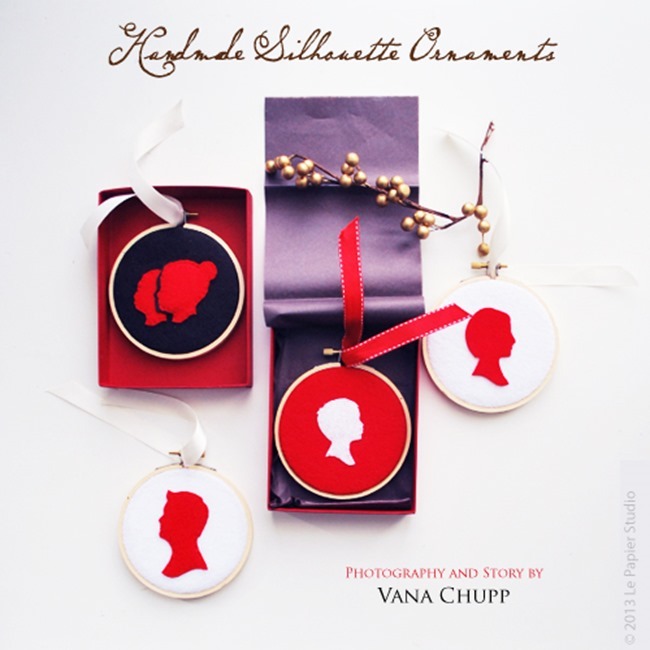 Visit Le Papier Studio and see all the beautiful silhouette creations…they are the perfect holiday gift! Don’t miss the adorable pillows!!! Vana has been kind enough to offer one Everything Etsy reader a $50 gift certificate to shop at Le Papier Studio! I love the tote bags!! I love the silhouette ornament. I love the Chalkboard Silhouette – Siblings! I love the siblings silhouettes. Le Papier Studio is filled with treasures and heirlooms-to-be. Wow – they do silhouette stamps! Gotta love it!! I love the fabrics ! Lover the silhouette floral wreath print! Laser Cut Silhouette Bracelets are my fav.Lovely giveaway,thank you for the chance to win it. The Kids & Snowman fabric is really cute! I love it all..the dog and boy blowing bubbles wall art…oh goodness sakes. I love the child silhouettes. I might give a try at historically clothed child silhouettes having seen how cool these are. Keep up the good work, I really love your range and creativity. The silhouette pillows are so cute! I absolutely LOVE the Sterling Silver Silhouette Necklaces!! Previous Post DIY Thanksgiving Ideas–Free Printables!